Finished and thrilled with it! it did work OK . .Looks like it needs a good steam press. 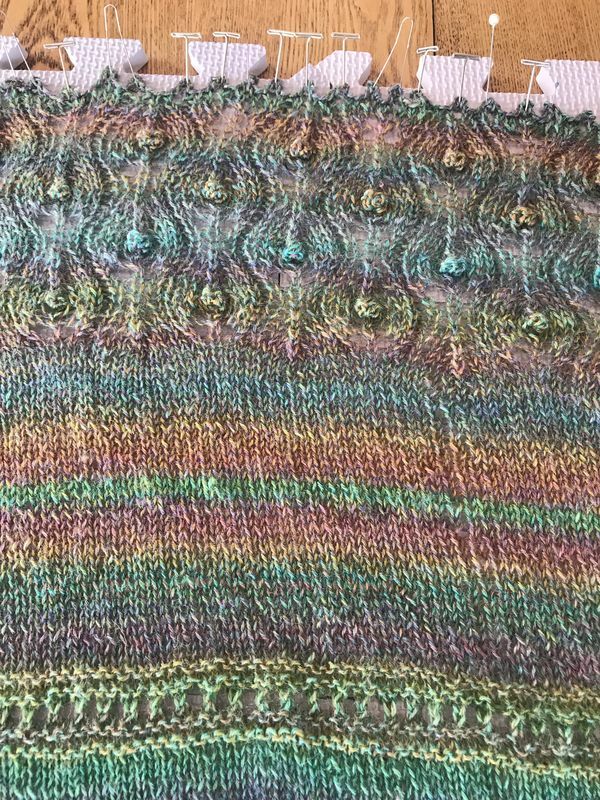 Gorgeous colors would like to see the whole shawl. It is Beautiful. Preservence usually pays off and it did this time to. Beautiful shawl and lovely colors! Beautiful ! Lovely pattern and the colors are gorgeous! Lovely work. The colors are delightful. What stitch is along upper edge? Is there a particular pattern you followed or did you compose as you knit? Your shawl is absolutely gorgeous!